You’re a landscaper and you’ve a crew and job that needs to get done. You need the right tools to get the job done right and efficiently so that you can move on to the next property and run a profitable business. Salerno Duane Commercial Trucks in Summit, NJ is the area’s Landscape Truck experts. 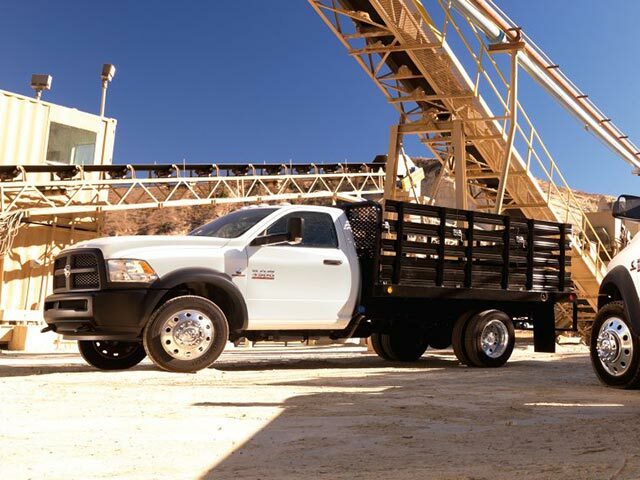 We’ve sold hundreds of customized Ram Chassis Cab models upfitted with a wide range of landscape bodies and dumps that fit each of our customers needs perfectly. We will work with you to find out what needs you have, what features are right and then we’ll also be here for you in the future should you ever need us for repairs or a service loaner truck. Salerno Duane Landscape Truck Center – It’s All About You! Versatility and functionality meet with our Knapheide Landscaper Body upfits. Want to transfer mulch, dirt, or sand into a wheelbarrow without spilling half of it? A metering gate can handle that. Load pallets of sod into the bed with wide side access doors perfect for the job. No matter if you need to haul or dump, the landscaper body can do it all. Our Rugby Landscape Truck Bodies are designed to meet the toughest standards, featuring a curbside swing-out door and rear barn doors over a drop down tailgate. 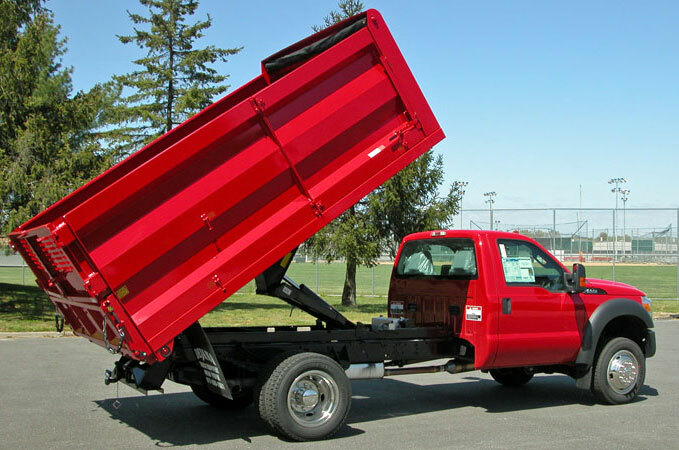 Knapheide’s Drop Side Landscape Truck Dump Bodies are a great dump body for our chassis cabs. These Dump Bodies are meant to haul anything from sand to asphalt. They are capable of hauling and dumping over 8.5 tons. With models that differ in side height, length, and yard capacity they have plenty of body configurations to meet your jobsite applications. 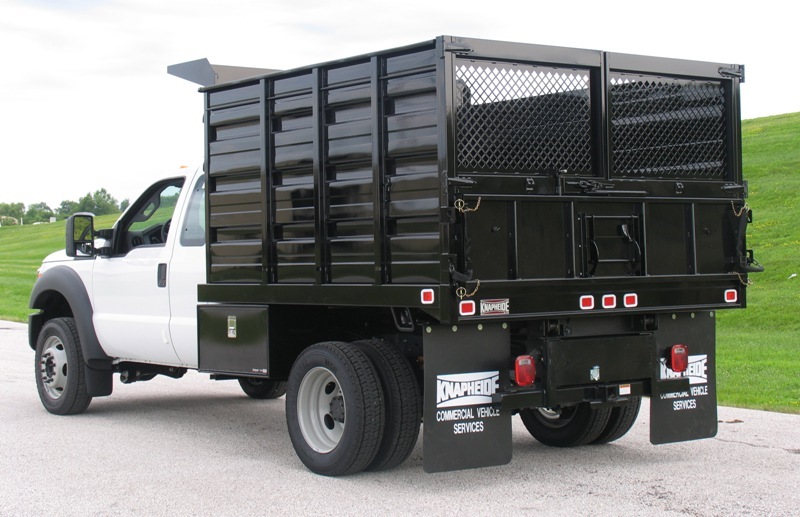 Salerno Duane Commercial Trucks has different options on cab protectors, under body toolboxes, and hoists in order to help you customize your landscape truck Dump Body to be more effective for you. Versatility and functionality meet with Knapheide’s Landscape Truck Body. Their Landscaper Body was designed to do the jobs that many other landscaper bodies can’t. All Rugby Landscape Bodies are designed to meet the toughest standards. They feature a curbside swing-out door and rear barn doors over a drop down tailgate that employs a revolutionary EZ-Latch system on the upper pins. The Dejana landscapers, Stakeless Landscaper, and VersaRack bodies are designed to meet the toughest standards, while at the same time provide the most versatile and easily accessible body available. Reading Truck Body now offers a complete line of vocational work trucks for construction, landscape and nursery/lawn care contractors such as their Platform/Stake Body. 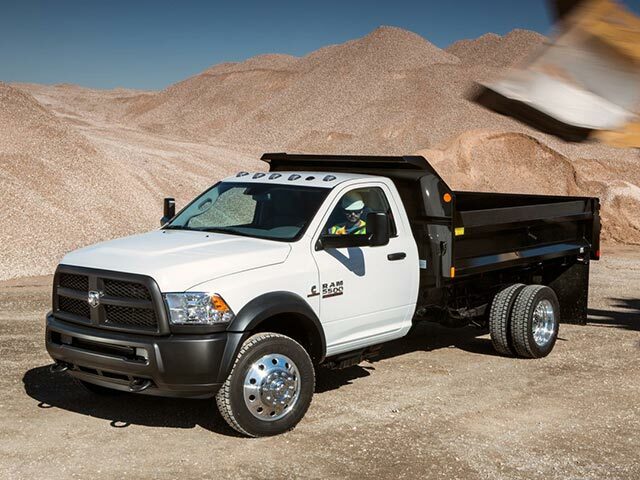 Tell us what your landscaper needs are and we will locate and configure the perfect truck for your business. Why Shop for your Truck or Van at Salerno Duane?